On a recording, Flight 188 ensures controllers that the jet's cockpit "is secure, we got distracted." 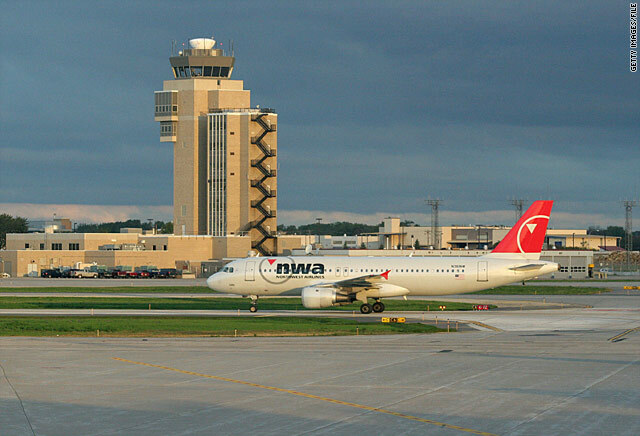 (CNN) -- One of the two Northwest Airlines pilots who overshot the Minneapolis, Minnesota, airport last month told air traffic control that they had dropped from radio contact because of "cockpit distraction." According to recordings released Friday by the Federal Aviation Administration, air traffic controllers finally established contact with the pilots of Northwest Flight 188 over Eau Claire, Wisconsin, after the pilots had been out of radio contact for more than an hour. "Ah, roger, we got distracted and we've flown over, ah, Minneapolis, we are overhead Eau Claire and would like to do a 180 and do arrival from Eau Claire," the cockpit said. Later, air traffic controllers from Minneapolis asked, "Do you have time to give a brief explanation on what happened?" "[Ah we're just dealing with some company issues] and that's all I can tell you right now at this time," the cockpit responded. The FAA says that the brackets note where the recording is not entirely clear and that the words inside them represent "the best interpretation" under the circumstances. Later, the air traffic controllers asked if the pilots, Northwest Captain Timothy B. Cheney and First Officer Richard I. Cole, could "elaborate on the distraction." "Ah [just] cockpit distraction, that's all I can say," is the response. The flight -- carrying 144 passengers, two pilots and three flight attendants -- eventually landed safely at Minneapolis. The FAA has revoked the licenses of both pilots, who have appealed the decision. An air traffic controller told the pilots, "I just have to verify that the cockpit is secure." The cockpit responded, "It is secure, we got distracted," according to the recording. Air traffic control then apparently led the flight through maneuvers. 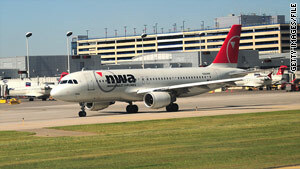 Authorities said earlier that the maneuvers were to ensure that the pilots were in control of the plane. In its letter to Cheney and Cole revoking their licenses, the FAA said the pilots were "extremely reckless" and endangered the public by flying an hour and half without contacting controllers. The pilots have told federal investigators that they "lost track of time" while working on personal laptop computers, the National Transportation Safety Board said. They became aware of their plane's position only after a flight attendant asked about the landing time, according to the NTSB. Cheney and Cole were piloting Flight 188 from San Diego, California, to the Minneapolis-St. Paul airport October 21 when air traffic controllers lost radio contact with their Airbus A320 over the Denver, Colorado, area, the FAA said. Instead of beginning to descend as planned about 22 minutes before its scheduled arrival, the plane continued flying at its cruise altitude of 35,000 feet and passed over the Minnesota airport. Air traffic controllers re-established radio contact after the plane had flown about 150 miles past its destination.